One of Moon Dog's limited releases from 2018 is back, this time around in cans. 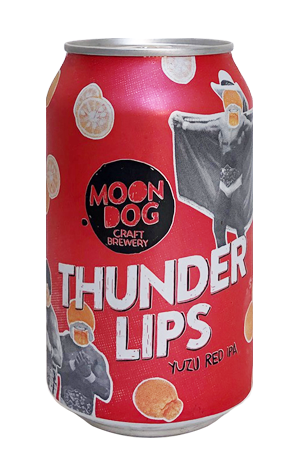 The beer is a red IPA laced with yuzu, a citrus fruit that sits close to grapefruit in terms of character. And it's not just the format that's changed for its 2019 rerun; the alcohol content has been lowered and, if we're to go off the write up we published last year, the malty side of the beer is more prominent. Thus you can expect a red IPA with the emphasis tilting more towards the red – rich, sweet toffee and treacle to the fore – than the IPA, with a side of spicy and herbal joining the citrus the brewers have looked to extract from the hops 'n' fruit combo.